If you've recently come out of an Avengers: Infinity War screening, you're likely eager to read as much about the film as possible. The first stop, of course, is checking out all the references and Easter eggs you may have missed. 1. Tony Stark dreams about naming his son Morgan. In the movie, Tony tells Pepper that he dreamt they had a son together. He says they named him Morgan after Pepper's "crazy uncle." In the comics, Morgan Stark is actually Tony's vengeful cousin, who later becomes the supervillain Ultimo. 2. Rocket's body part fetish continues in Infinity War. Remember in Guardians of the Galaxy when Rocket conned Star-Lord into buying a Kyln inmate's prosthetic leg? Or later, when he joked about wanting Vorker the Ravager's artificial eye? 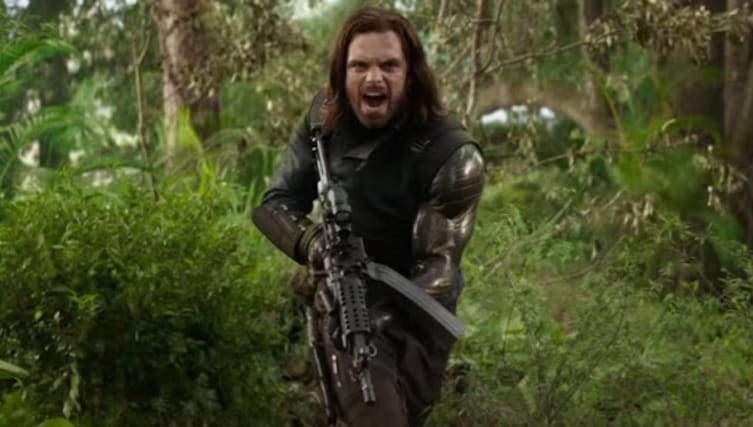 In Infinity War, Rocket expresses a keen interest in Bucky Barnes' metal arm. After Bucky denies him the arm, Rocket vows that it will be his. 3. The Russo Brothers planted another Arrested Development Easter egg. One eagle-eyed fan spotted the detail when the Guardians visit the Collector on Knowhere. We can see that among the Collector's items is a man who looks like Tobias Fünke after his Blue Man Group audition. In Civil War, the directors called back to the show's famous stair car during the airport fight scene. 4. Captain America wears his traditional scale armor underneath his suit. While Steve Rogers' suit has certainly evolved within the MCU, we've yet to see a reference to his original armor until Infinity War. If you look closely during the battle scenes in Wakanda, you can see the scale armor beneath the tears in his suit. 5. All those references to Thanos snapping his fingers are rooted in the original comics. In Jim Starlin and George Perez's Infinity Gauntlet, Thanos literally snaps his fingers and wipes out half the universe's population in an instant. In other words, Gamora wasn't exaggerating in the film's trailer when she warns the team that Thanos can wipe out half the universe with the snap of his finger. 6. Thor's new weapon comes from Marvel's Ultimate Universe, an alternate reality to the original story line. After Hela destroys Thor's hammer, Mjolnir, the God of Thunder quests to make a new weapon. However, Thor's hammer/ax in Infinity War isn't the new Mjolnir. It's called the Ultimate Mjolnir, and comes from the Ultimate Universe. However, they give it a different name in the movie. 7. Thor names his new weapon Stormbreaker, which is the name of Beta Ray Bill's hammer in the comics. After Beta Ray Bill defeated Thor in battle, Odin honored him by having the same dwarves who forged Mjolnir to forge Stormbreaker for Bill. Later in the story, Thor and Bill become allies. Therefore, Thor's new weapon is a reference to one of his most worthy adversaries. 8. A similar scene where Ebony Maw tortures Doctor Strange occurred in Jonathan Hickman's 2013 event, Infinity. In Infinity, Thanos sends his goons to acquire the Infinity Gems. Ebony Maw goes after Doctor Strange, who's a member of a secret group (The Illuminati) which knows the whereabouts of the stones. While there aren't any giant needles in the story, Ebony does have a memorable interrogation scene with Strange. 9. Infinity War furthers the theory that Bucky Barnes will fill the role of White Wolf. As we saw in the post-credits scene following Black Panther, Bucky is referred to by the Wakandans as "White Wolf." In Infinity War, the title is used again. In the comics, White Wolf is a Caucasian boy who gets abandoned in Wakanda and becomes T'Challa's adopted brother. 10. Let's not forget the homage paid to James Cameron's Aliens (1986). Peter's plan to defeat Ebony Maw comes directly from the scene in Aliens where Ripley has the Xenomorph Queen sucked right out of the ship’s airlock. Both the Xenomorph Queen and Ebony Maw are shown frozen, floating in space afterwards. 11. The scene where Spider-Man webs Thanos' face is a reference to a panel in the original Infinity Gauntlet comic. That's right, the idea for Spider-Man to web Thanos right in the kisser goes back to the comics. 12. Doctor Strange uses his power to summon the Crimson Bands of Cyttorak for the first time in Infinity War. Near the end of the film, Doctor Strange conjures up the red bands in an effort to subdue Thanos. The spell isn't discussed in the movie, but fans of the comics will immediately recognize it. 13. Infinity War is the first time we see Tom Holland as Spider-Man experience his Spider-Sense. While Peter may have felt his senses tingling multiple times during Spider-Man: Homecoming, this is the first the time audience has seen it in action. 14. 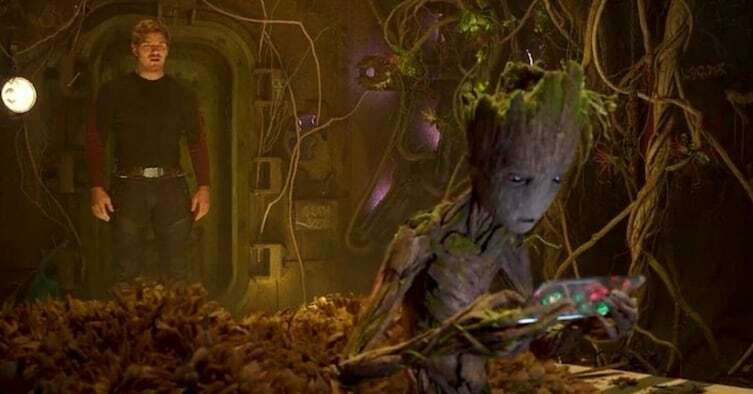 Teenage Groot is seen playing Defender (1981), a video game which, on a basic level, mirrors the plot of Infinity War. The object of the game is to protect humans against waves of alien enemies who want to abduct them. While this clearly isn't the exact plotline of Infinity War, the whole thing about protecting the universe from aliens is a pretty key point in the story. 15. Red Skull was recast in Infinity War. Most people had concluded that Red Skull either died or was sent to another dimension after attempting to master the Tesseract in The First Avenger. 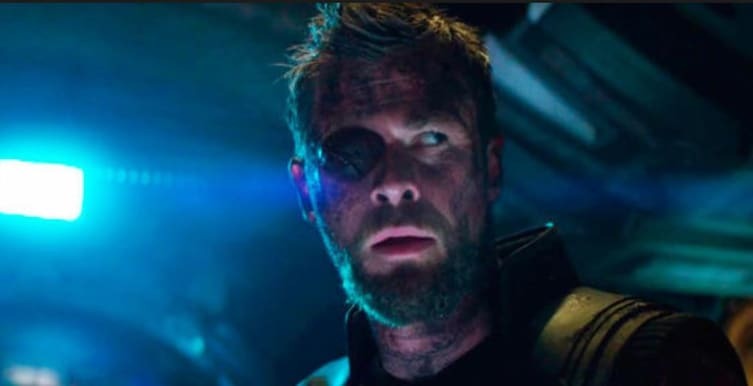 Few would have guessed that he'd be guarding the Soul Stone, and even fewer probably realized that he was no longer played by Hugo Weaving, but by Ross Marquand instead. 16. And finally, Vision's lifeless body looks like a reference to his white suit as a West Coast Avenger. In case you were too traumatized at the moment to notice, after Thanos plucks the Mind Stone from Vision's forehead, his body loses all color and turns white. It makes Vision's death that much sadder, as well as our eagerness for Captain Marvel to exact revenge on Thanos that much greater. Did you find more Easter eggs? Tell us about them in the COMMENTS!